We are a team of professionals who provide all types of flooring installation services in the Greater Vancouver area. It is a proven fact that experience and expertise can significantly contribute into the look of any home and get all the value out of your investment. Your goals and priorities is our starting point, the best possible results for your project is the final. We provide a free in-house consultation and estimation to find just the right solution for your home. Moreover, as a part of our clients’ support, we can arrange a mobile showroom services with demonstration of the most suitable samples at your home location. We are well trained and equipped, fully insured and certified to ensure a flawless working process and best results. 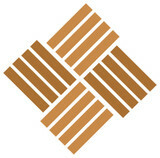 All our professionalism in flooring industry is at your service. 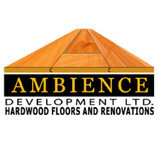 Ambience Development Ltd. (ADL) is a dynamic Vancouver Hardwood Floors and Renovations company. It was founded by Shlomo Laniado out of his love and passion for wood and hardwood floors and offers twenty-five years of progressive experience. Serving throughout Metro Vancouver and the Lower Mainland, ADL specializes in both supply and installation of hardwood floors in residential and commercial settings. Over the years we have expanded our scope of services to offer complete renovations and project management services; from heritage homes to ultra-modern styles and concepts. An active part of our business is working with clients to update their home right after the purchase or to prepare a home prior to listing it. We fully guarantee all of our work. Providing exemplary customer service; our role is to work with each client to create customized Hardwood Floors and Renovation Solutions. Our estimates are detailed with no hidden fees. (We tell you what we would do – and will do what we have told you.) We pride ourselves as a full service company– from free, in-home initial consultation, to sample viewing and selection to logistics and finishing touches – we are there, by your side all the way through the complete successful installation. Burritt Brothers Carpet and Floors is a locally owned, family-operated company that has been in business since 1907. 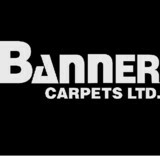 Banner Carpets is a fully integrated flooring distributor serving Canada. 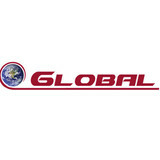 Recognized for our professional longevity and integrity, we are able to offer many exclusive products from some of the best manufacturers in North America and around the world. As an importer, we stock a large inventory of flooring products and are able to offer an outstanding selection at exceptional prices. We offer a complete line of residential and commercial products including broadloom, carpet tile, area rugs and runners featuring a wide range of 100% wool, wool blends and synthetic fibers. We also carry many hard surface products including hardwood, bamboo, cork & vinyl flooring. In addition to flooring we also stock many different types of underlay and cleaners to cater to any type of product or requirement. These select products are imported from around the world providing us with exceptional diversity and unique lines. Many of these lines are exclusive to Banner Carpets which allows us to offer one of a kind, stunning products that you and your client can't find anywhere else. Flooring, cork, carpet, hardwood, tiles, laminate, luxury vinyl tiles, custom area rugs, blinds all come with guaranteed installations. Floor Envy is the new expansion of the C&L Floor family (building on our reputation as the highest rated flooring installation company in BC) allowing us to expand the services we are able to offer to our clients, while keeping costs reasonable for everyone. Floor Envy is a family owned and operated flooring showroom and home renovation boutique, located in South Surrey, BC. We offer complete residential and commercial flooring solutions, including laminate, engineered hardwood, luxury vinyl and carpet, with a wide array of competitively priced premium flooring products and installation services. Our showroom also features a large selection of luxury quartz counter tops and custom cabinetry and storage solutions. Our friendly and experienced contractors can expertly manage your flooring installation as well as coordinate larger renovation projects including kitchens, bathrooms, great rooms, and more. We strive to create a simplified and stress-free renovation, with personalized service and fair pricing. In-house design services and consultations from Elevate Design are available by appointment. Let our designer assist you in creating a beautiful functional space, or simply assist with final decisions when the choices are all too irresistible. Our goal is to achieve 100% satisfaction with our clients, and to help you build a home to Envy. Contact us today to arrange your free no-obligation in-home estimate. At Kentwood, we’re committed to creating the world’s most beautiful, durable and desirable wood floors - floors that explore the infinite variety and natural beauty of real wood; floors that make bold, distinctive design statements for the contemporary home; floors that are made to last for a lifetime, and made in a way that ensures the forests last forever. Since its introduction in 2003, the Kentwood collection has grown to offer hundreds of styles of authentic hardwood floors, with colors, species and finishes to suit every kind of lifestyle and living space – including a wide selection of FSC certified products. Our flagship line, Kentwood Originals™, offers a breathtaking variety of premium quality hardwood designs, inspired by the colors and textures of the landscapes of our west coast homeland. For the connoisseur, Kentwood presents the Couture™ Collection: creatively imagined, beautifully designed, highly crafted wood floors that command attention in any setting. Elements™ by Kentwood offers a generous selection of genuine wood flooring options at affordable prices – it’s real hardwood, within reach. Kentwood floors have been installed in thousands of homes from cottages to condos to castles, in cities from Seattle to Salzburg to Shanghai. Now, we invite you to peruse our collections and find the Kentwood floor that’s a perfect fit for you. All showrooms in BC: 234 W.3rd Avenue, Vancouver, BC, V5Y 1G1; Tel: 604-879-0900 103-11400 Bridgeport Rd, Richmond, BC, V6X 1T2; Tel: 604-231-8120 8411 Lougheed Hwy, Burnaby, BC, V5A 1X3; Tel: 604-879-0900 Established since 1995, Floorhouse by Golden Trim Hardwood Floors has put together up-to-trend colours and stylish designs into high performance floor coverings. We specialize on 100% German Made high performance flooring and upscale European Oak engineered wood. We are located in the central heart of Vancouver, British Columbia, with three concept showrooms in Vancouver, Richmond and Burnaby. With our long history experience in the wood flooring industry, we also work closely together with interior designers and architecture firms to supply the most up-to-trend flooring products. We are a locally-owned and operated flooring company that offers a wide variety of quality hardwood floors and wool carpets. Whether you're building a brand new home or planning an extensive remodeling project, we have the perfect solution for you. Our showroom highlights everything you will need to complete your vision, including flooring, wall and ceiling cladding, stair systems, exterior decking, and accessories. We understand the importance of this decision, which is why we have professionals on staff to answer all your questions. Call to schedule an appointment or stop by the showroom to pick out your dream floor today! Cypress Hardwood Flooring, Ltd. offers full services for your high-end residential and refinishing needs. We have over 100+ years of combined experience and are constantly striving to be Vancouver, BC's number one flooring company. Our premium flooring is sourced from around the world. Styles include Strip, Plank and Parquet. With an array of Finishes such as Water-based, Oil-based, Moisture-cured, and Wax Finishes, we are able to customize our service to all of your refinishing requirements. Canada West Wood Flooring Solutions Inc. Located in Richmond British Columbia, Canada West Wood Flooring Solutions Inc is a wholesale/retail company specializing in Hardwood and Softwood Fooring of all descriptions, grades, sizes and species including solid unfinished and prefinished flooring, and engineered unfinished and prefinished wood flooring. At Legacy Custom Floors we produce top quality floors that only experience has to offer. Our finished product is sure to leave you happy in your decision to have chosen our company as your flooring specialists. Throughout our contracts we guarantee a clean work site and recycle all of our plastic products. We take pride in each project big or small, and always take special care to respect the homes of our clients. What kinds of services do hardwood flooring installation professionals in Richmond, BC provide? Find hardwood floor experts in Richmond, BC on Houzz. Search the Professionals section for Richmond, BC hardwood flooring installers and dealers or browse Richmond, BC photos of completed installations and look for the professional’s contact information.